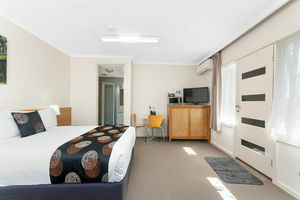 Perfect for families, our spacious family rooms feature a pillow top queen size bed and one single bed. 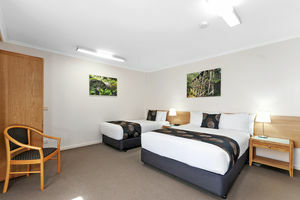 This well-appointed room has a bathroom with hairdryer and complimentary toiletries, split system heating & air-conditioning, microwave, snack minibar, tea & coffee making facilities and ironing facilities. Keep the kids entertained with free Foxtel movie channels and Wifi. Rollaway beds are available on request. Rates are for 3 people. Extra adults AU$29.00. Extra children AU$20.00. 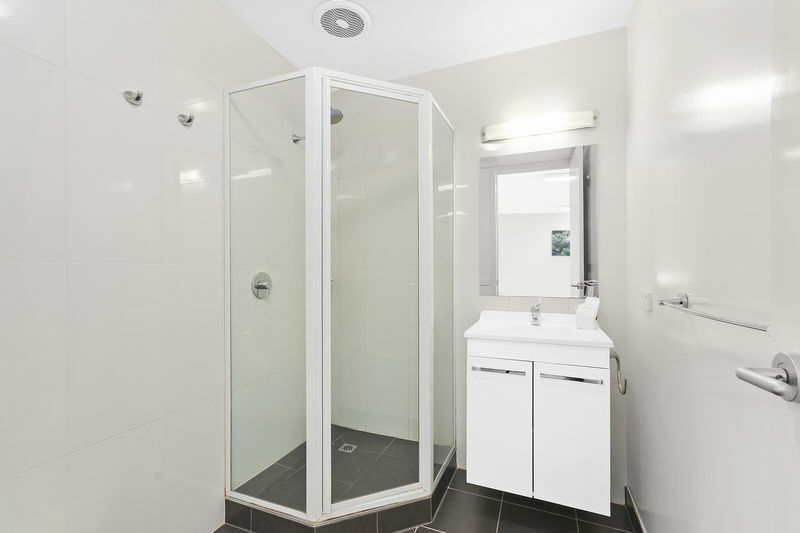 This room caters for a maximum of 3 adults and a maximum of 3 children but cannot exceed 4 guests in total.